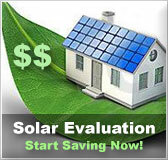 Georgia residential solar energy incentives | Solar Panels | Solar Power | Site Map | Bookmark This Site! This tax credit is equal to 35% of the total cost of the equipment including installation. Taxpayers who wish to claim this credit must submit an application for approval and all equipment must meet all certifications standards. This program is for system owners who wish to sell to Georgia Power all the power generated by an eligible system that is connected to the grid. This power is then sold to other customers. Georgia Power purchases electricity from PV systems for 17.74 cents per kWh, up to 500 kW which is higher than the standard net metering rate. Customers who wish to participate in the solar buy back program must fill out a generation contract with Georgia Power and must be connected to the grid. Systems must meet all qualifying and safety standards specified. This is a production based incentive program for Tennessee Valley Authority customers who wish to install solar photovoltaics. Other qualifying systems in this program include wind, biomass and hydropower systems. 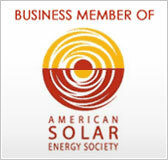 In this program TVA owns all rights to any renewable energy credits. Participating power companies purchase the generated power from TVA. Customers receive their incentives through a participating utility where the system is located through a credit on their monthly bill. All participants in this program receive $1000 upfront to off set the initial cost of the system from TVA. After that, TVA will purchase the output of the system for $0.12 per kWh above the retail rate for solar and $0.03 per kWh above the retail rate for all other systems. Systems must have a minimum output of 500 watts AC and a maximum output of 999 kilowatts. Georgia has a few different rebate programs provided by provided by municipal cities and utility companies. 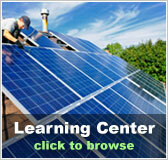 Most of the rebate programs are for solar photovoltaics and solar water heat. 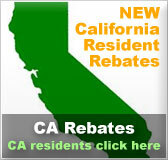 Rebates are either given as a one time set amount for the initial cost and installation of a system, other rebates are given per kilowatt up to a specified amount.